A low growing shrub particularly good for coastal positions. The attractive white daisies have yellow centers and appear throughout the warmer months. Ideal for sunny borders, rockeries and hot dry situations. Makes good contrasting foliage plant in native plantings. 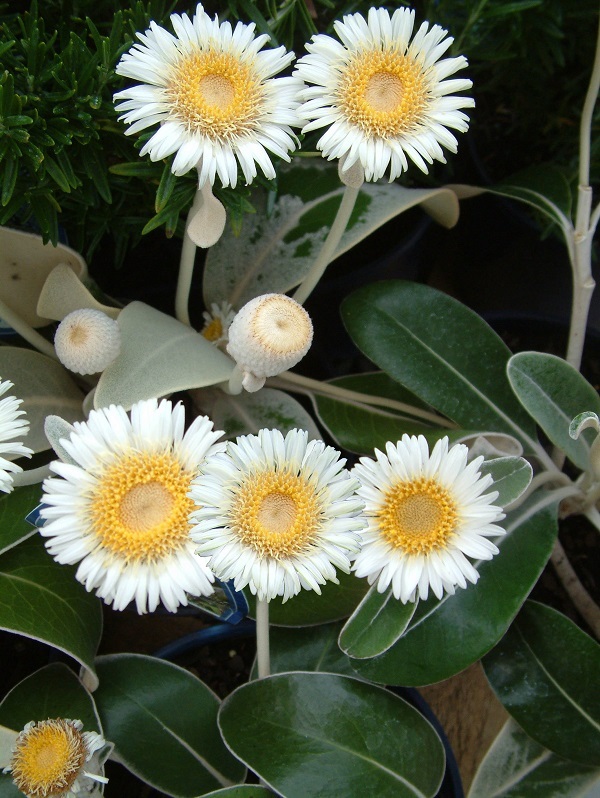 Ideal in full sun in hot and dry areas with well draining soil. Protect from heavy frosts when young.